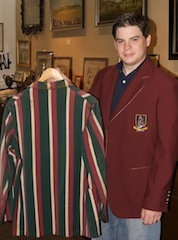 A cricket club’s blazer is an important item of clothing – its colours and pattern instantly identify the wearer as a part of an exclusive membership. It is as much a part of cricket as the bat and balls, the wickets and whites. 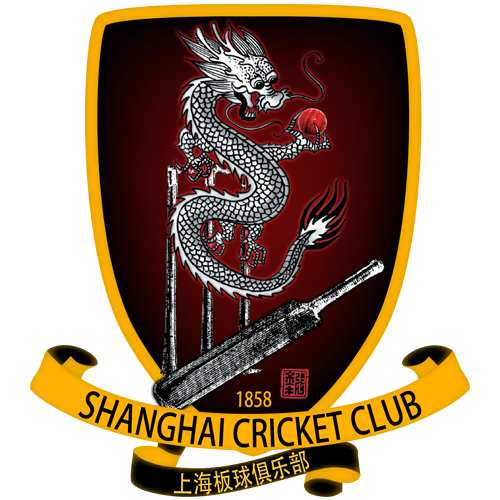 With the creation of the People’s Republic of China in 1949, the Shanghai Cricket Club entered a long phase of dormancy. 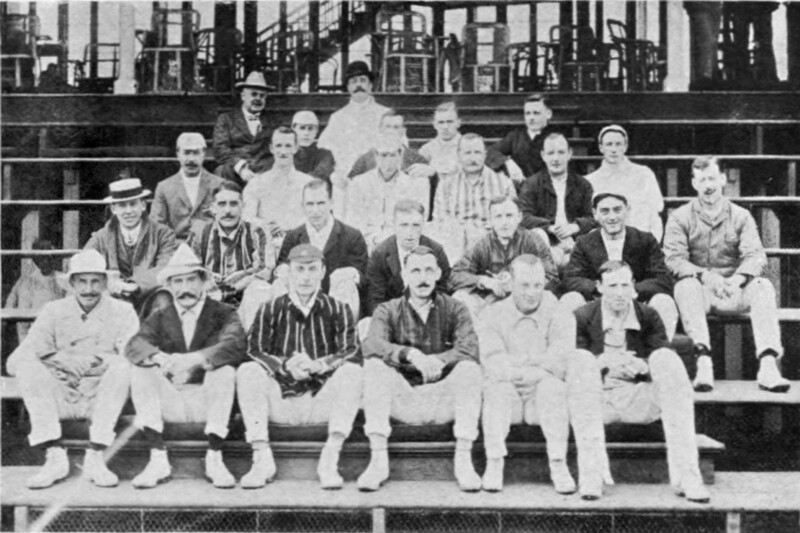 With almost all foreigners leaving Shanghai in 1948, the cricket club effectively closed. It was not until the late 1990s that cricket was once again played in Shanghai. When the club re-emerged, there were only historical accounts and few records left from its previous incarnation. The new members began to research the club’s past using these documents, most of which still await review today. As this process got underway, a blazer was produced by the Shanghai Cricket Club for its representative team, the Dragons, to wear on tour. The players wore this jacket, solid maroon with gold piping, when they became the first Shanghai team to play an Interport match with Hong Kong since 1948. While the Shanghai team continued to wear this new jacket, the club sought to locate an original Shanghai Cricket Club blazer. It was not an easy task. As it is today, the Shanghai of 100 years ago was a destination for many expatriates who would make the city their home. However, the upheaval of the Japanese invasion during World War II and the subsequent Chinese civil war made it very hard to track down former club members. Then a breakthrough came. The C.C. Morris Cricket Library, located on the grounds of Haverford College just outside Philadelphia in the eastern United States, houses the largest collection of cricket literature and memorabilia in the Americas. The library’s primary efforts focus on preserving the history of the game of cricket in America in all forms, and in 2006 it placed pictures of its collection of cricket blazers online. This collection features the only known SCC blazer still accessible to the public. The blazer belonged to H.H. 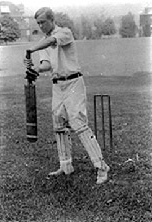 Morris, an American cricketer who had lived in Shanghai for an indeterminate number of years at the beginning of the 20th century. When he returned to the United States after his time in Asia, he brought his Shanghai Cricket Club blazer with him. In 2009, this author travelled to Haverford to inspect and photograph this jacket, the first step in what would be a long process of recreating the original club blazer. At the moment, fabric is carefully being selected for a new blazer to be made in the design and colours of the original. Within the year, the Shanghai Cricket Club blazer will live again.